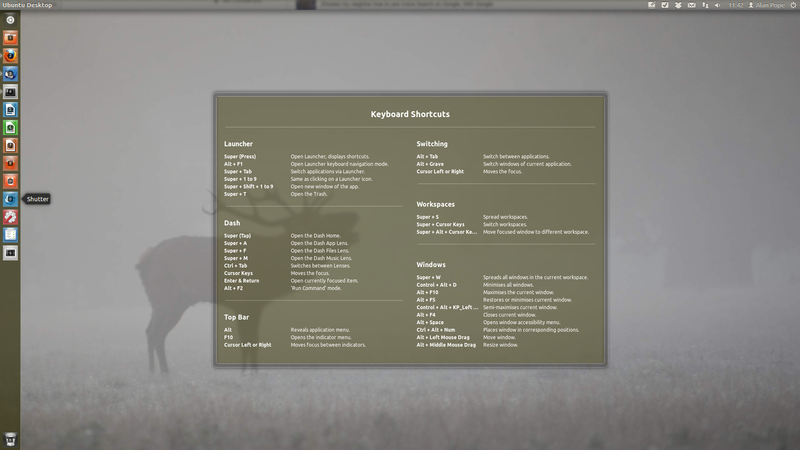 The shortcut overlay window listes some truncated keybindings and descriptions although there's enough horizontal space to show them all. horizontal space to present them, for example the "Super + Alt + Cursor ke.."
keybinding should be instead "Super + Alt + Cursor keys"
The view might be too large in some locales and thus not to show at all, although we should generally handle this as it used to be before. 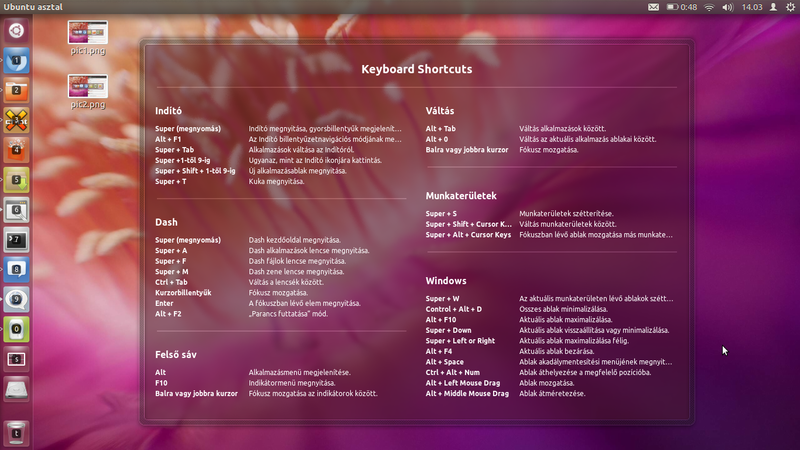 When I hold down Super I get a popup image detailing the shortcut keys. There are a few issues with this image which I have filed as separate bugs. Workspaces Text too long to fit. I see "Super + Alt + Cursor ke.." Which I presume should say "Cursor keys"
This is a problem with translated texts too as german text for example is usually longer than english text. It's a problem with hungarian texts too. Sorry, here is the screenshot. This is really ugly, affects multiple languages and VERY visible so I think this should be fixed BEFORE the release! Why does Unity not apply the new translation strings for the overlay? 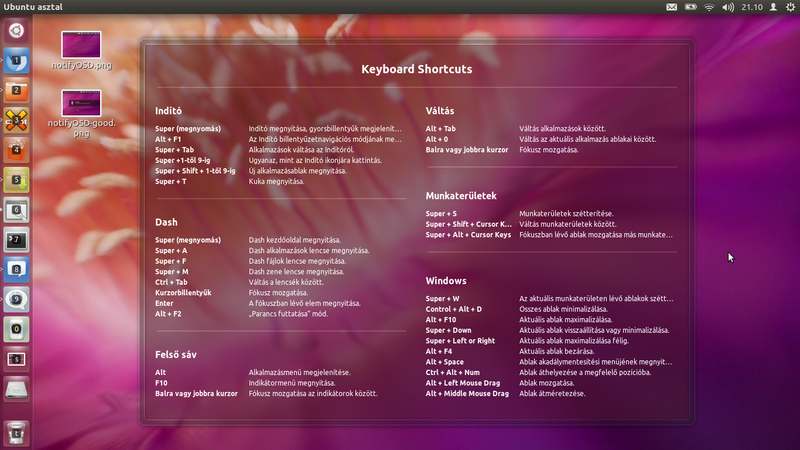 https://translations.launchpad.net/ubuntu/quantal/+source/unity/+pots/unity/de/+translate?batch=10&show=all&search=linke+oder+rechte e.g does not seem to work. It does still use the old strings. The version in trusty-proposed fixes the problem. At least that's how it looks for me on 1920x1080 resolution and Polish language.